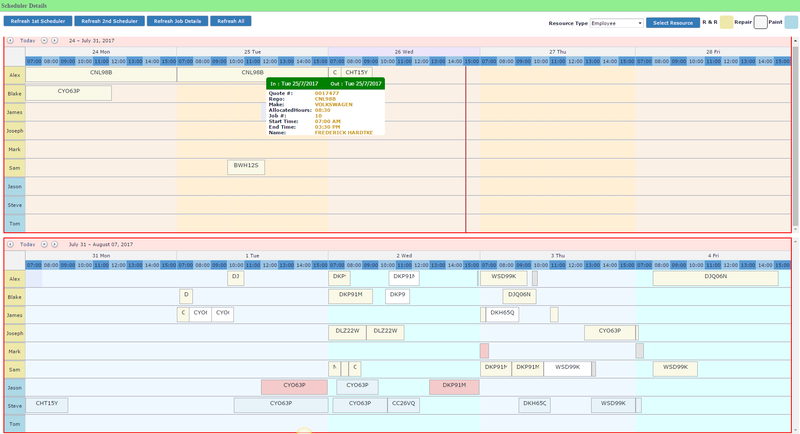 Web Scheduler helps you to manage the work from a single chair. Effective use of man power and job assignment is now easy.Working hours of each job and the employees are tracked.. We provide the power to easily manage all aspects of collision repair from tracking sales and production to job costing,invoicing,repair notes,cycle times,employee efficiency,profit margins claim processing and can be customized for even the most demanding body shop. 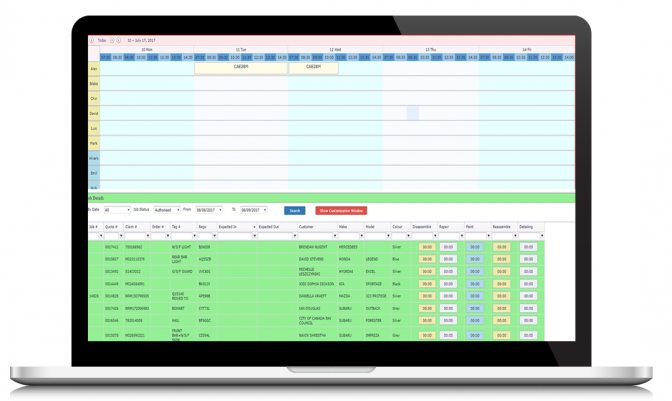 Repairer can schedule the task in both schedule by drag the task from Job details. First scheduler shows the current week details and second one shows next week details. Job details shows all the details of job and allowed to search based on job status and with particular date range. 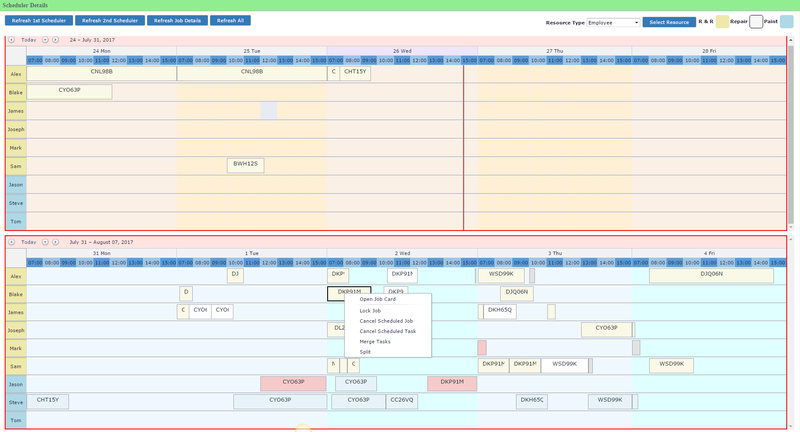 Repairer can view the task in scheduler by scrolling mouse over the task. 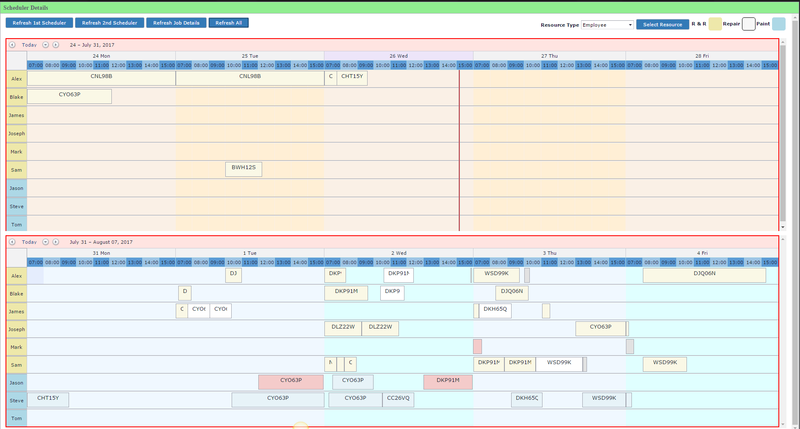 Repairer can adjust scheduling time while assign the task to employee. 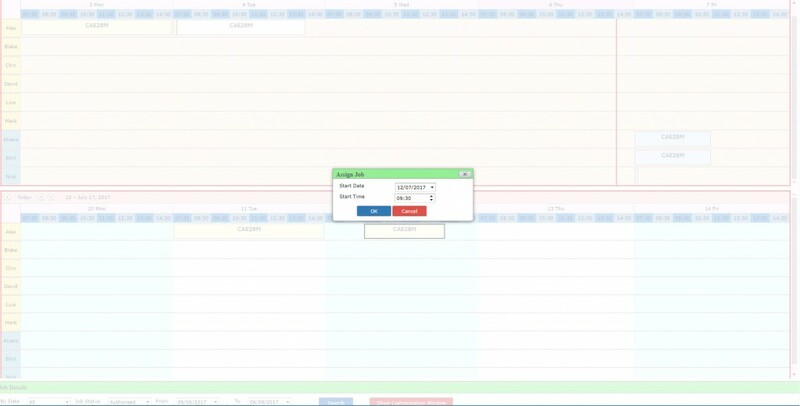 Repairer can perform various action(Lock job, Cancel, Split, Merge ) by right clicking the task. 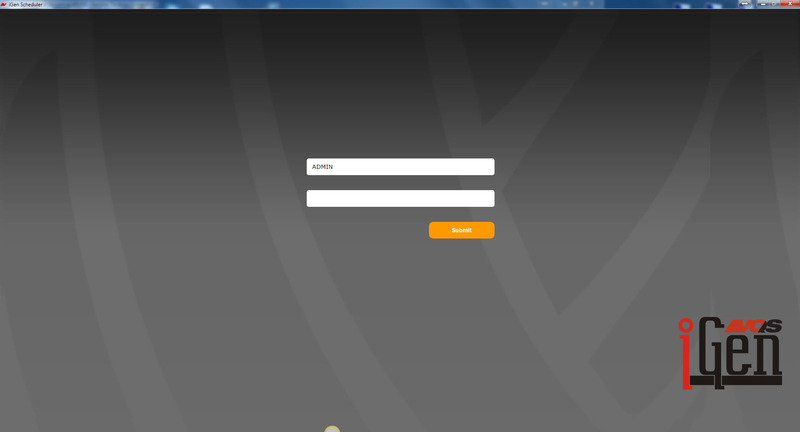 Repairer can view whole job related details in job card.